Evere in the northeast of Brussels is bordered by Haren, Schaerbeek, Woluwe-Saint-Lambert and Flanders. Like many of the peripheral communes, it’s quiet and leafy and well-suited for families. It’s also conveniently located for those working in the EU institutions, with direct trains to Schuman taking just seven minutes, and is handy for the motorway network and the airport too. We surveyed readers of The Bulletin to find out what it’s really like to live here and what they’re not so keen on. Property in Evere is more expensive than in many other communes, with much of the current available housing stock – to rent or to buy – in modern apartment blocks. One-bedroom furnished apartments with terrace in a new development close to the Nato headquarters in nearby Haren are available to rent for about €1,000 per month, for example. Three- and four-bedroom houses are available to buy for around €350,000 to €400,000, according to property website Immoweb. 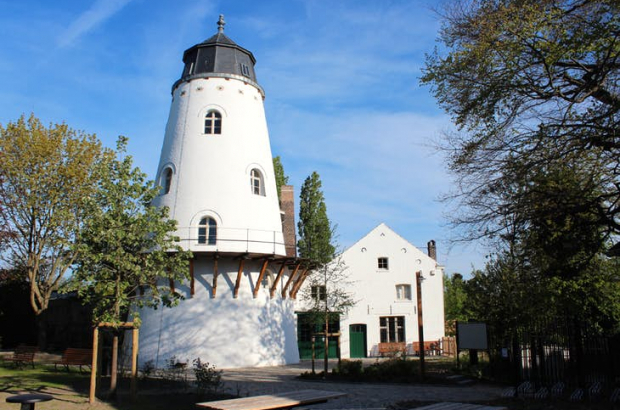 Local landmarks in Evere include the Brussels Museum of the Mill and Food, housed in an old windmill that’s listed as a national heritage building. The permanent exhibition showcases the history and importance of milling, with regular temporary exhibitions focusing on different aspects of food culture. The vast Brussels Cemetery is also here, the final resting place of several notable local people, including former mayors Jules Anspach and Charles De Brouckère. It also features a large monument in memory of the soldiers of Waterloo, by Belgian sculptor Jacques De Lalaing.